Nvidia has just updated their range of high-end notebook GPUs with the launch of the new GTX 580M and 570M, which are claimed to be the fastest notebook GPU ever. The 580M is said to offer six times the tessellation performance of any other notebook GPU (read Radeon HD 6970M) and 20% better performance than the previous generation GPUs. 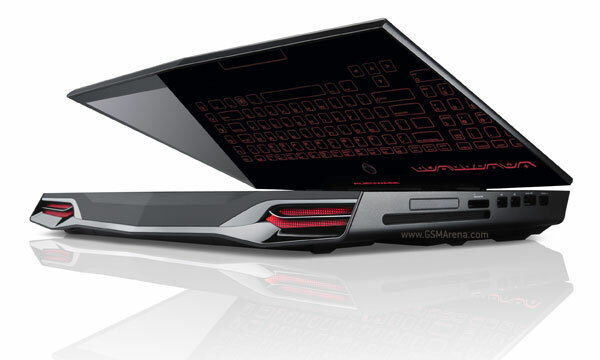 It will be available soon on the Alienware M18x and M17x gaming notebooks. The M18x will give you the option of configuring it with two GTX 580M so you can burn through you battery faster than you can spell “Alienware”. Meanwhile, the M17x will offer the GTX 580M with Nvidia’s Optimus technology, that lets you switch between discrete and onboard graphics automatically depending upon your usage. Both the 580M and 570 M support Nvidia’s 3D Vision, SLI, Optimus, PhysX and Cuda technologies and Verde notebook drivers. The Alienware duo are yet to go on sale but you can get your hands on the Clevo P170HM3 and P270WN that run on the GTX 580M or the MSI GT780R that runs on the GTX 570M right now.